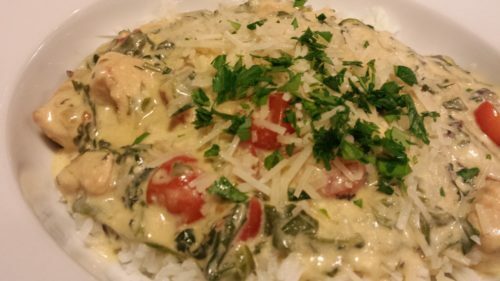 Creamy Chicken Tomato Arugula Rice. As part of my eating healthier quest, I’m substituting plain yogurt for heavy cream in “creamy” recipes. 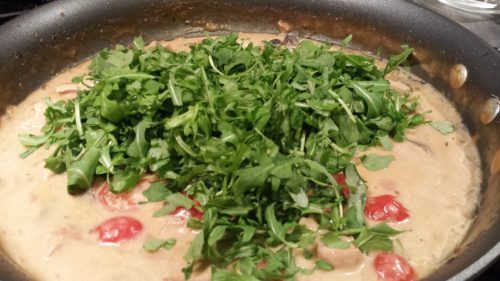 This recipe is a close sibling to my Chicken Shiitake Arugula Pasta yet it is also gluten free. Boneless chicken breasts, cherry tomatoes, arugula and mushrooms flavor a creamy yogurt-based sauce which is served over rice. 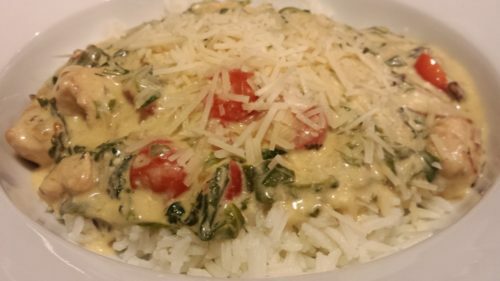 It’s an easy and healthier creamy dish that is great for weeknight dinners. Start out by making the rice. 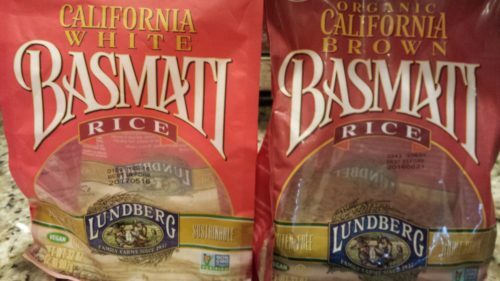 I choose to use a brown or white basmati rice in this dish. Get the rice cooking while you make the sauce. When the rice is done, set it aside and keep warm. 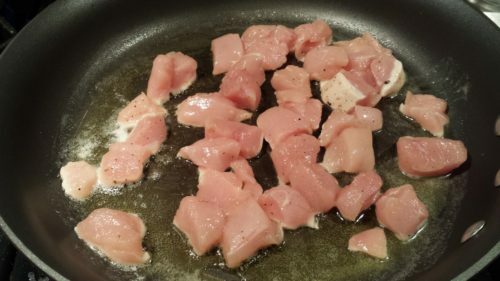 Dice two boneless skinless chicken breasts and season with salt and pepper. 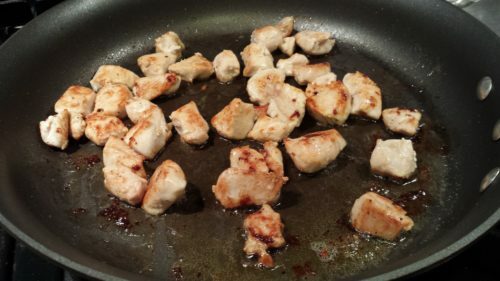 Sear the chicken pieces in olive oil and butter until browned on each side. Slice and dice some onion and quarter some mushroom caps. Add the onion to the chicken and cook until the onion has softened a bit. Add the quartered cremini mushroom caps and some minced garlic. Add some dry white wine and deglaze the pan by stirring and scraping up the brown bits on the bottom. 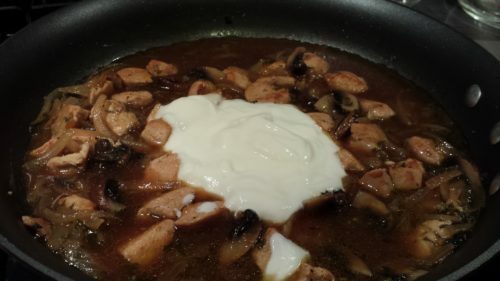 Add some chicken stock and plain yogurt, stir, and let the sauce simmer for 5 – 10 minutes or until it starts to reduce. Stir a few times. 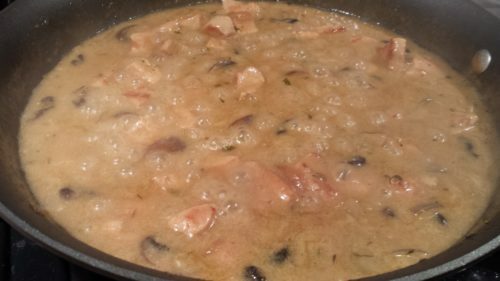 You may need to add a bit of cornstarch to thicken the sauce. 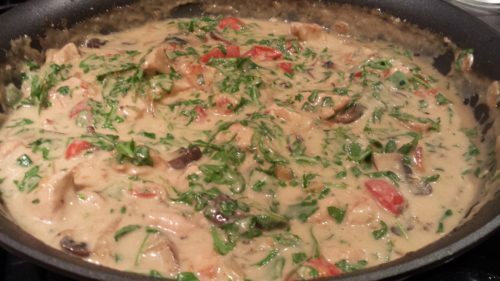 Take a tablespoon of cornstarch and a bit of the sauce liquid and stir in a small bowl until smooth. Then stir the cornstarch mixture into the sauce. 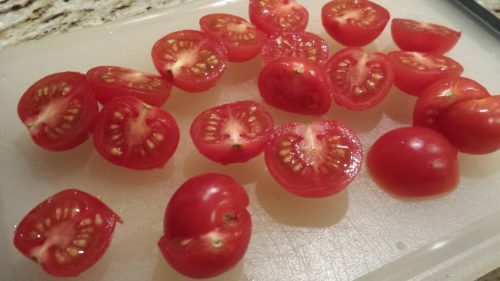 Halve some cherry tomatoes and chop some arugula. 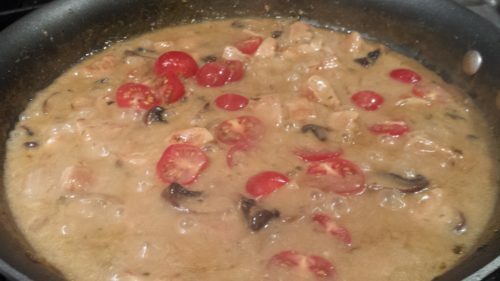 Add the cherry tomatoes to the sauce and cook for a few minutes. Add the arugula and stir until the arugula has wilted. 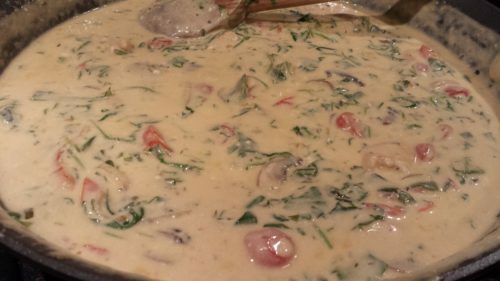 When the sauce has thickened, it’s ready to plate. Fluff the cooked rice with a fork. Divide the rice amongst serving bowls. 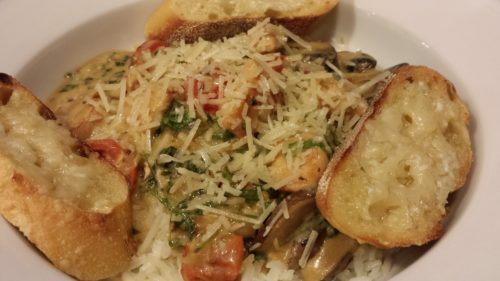 Ladle the chicken tomato arugula sauce over the rice and sprinkle some shredded Parmesan over the top. 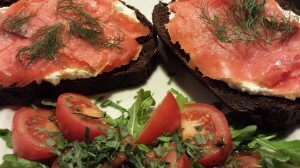 Offer with my Cheesy Garlic Rosemary Toasts! 1. Cook the rice according to the package directions. When the rice is done, set aside and keep warm. 2. While the rice is cooking, heat the olive oil and butter over medium heat in a non-stick skillet. 3. 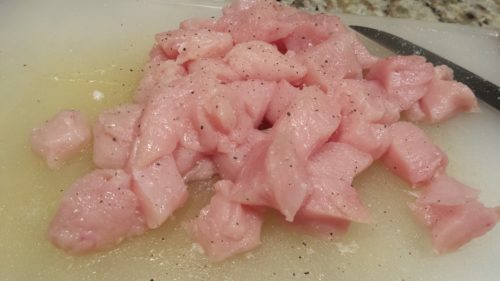 Season the chicken cubes with salt and pepper. 4. 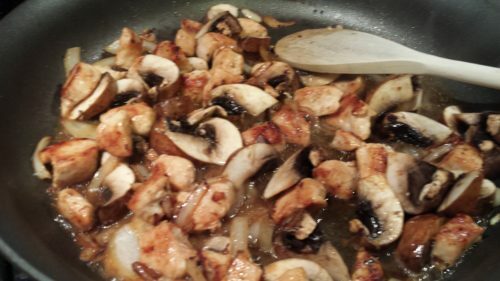 In the non-stick pan, saute the chicken cubes, turning them, until they are golden brown on all sides. 5. 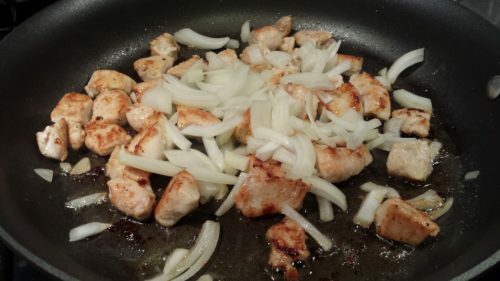 Add the onion to the chicken and let it caramelize a bit. Stir so the onion doesn’t overbrown or burn. 6. 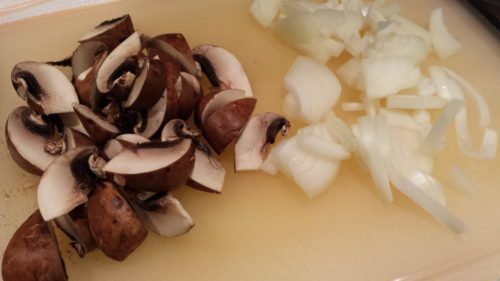 When the onion is caramelized, add the mushrooms and the garlic. Cook for 2 minutes, stirring so the garlic doesn’t burn. 7. Deglaze the pan with the white wine, using a wooden spoon to scrape up the brown bits in the pan. 8. Add the chicken stock and the plain yogurt, turn the heat down to a low simmer, and let the mixture cook slowly for 5 minutes, stirring occasionally. 9. Put the cornstarch into a small bowl and add a small amount of the chicken mixture’s liquid to the cornstarch. Stir until the cornstarch mixture is smooth in the bowl adding more liquid if necessary. Add the cornstarch mixture to the chicken mixture. Stir until smooth. 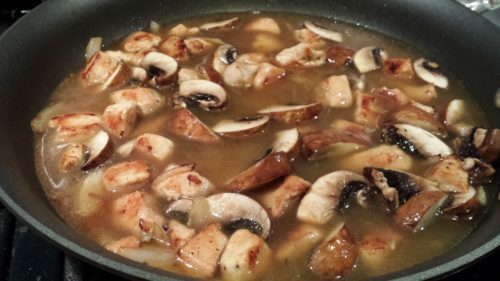 10.Simmer over low heat until the sauce starts to thicken a bit and the chicken cubes are cooked through. 11. Add the halved cherry tomatoes and cook for 4 minutes, stirring. 12. Add the chopped arugula and stir until the arugula wilts a bit. 13. Fluff the cooked rice with a fork and divide amongst four serving dishes. 14. 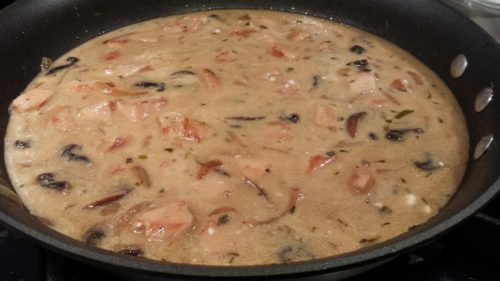 Ladle the chicken mixture onto the rice in the dishes. 15. 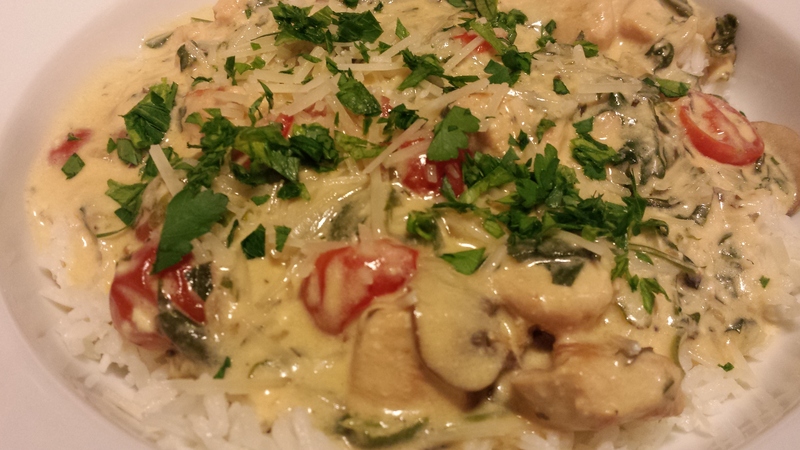 Divide the shredded parmesan cheese amongst the chicken dishes and sprinkle on the parsley as a final garnish. 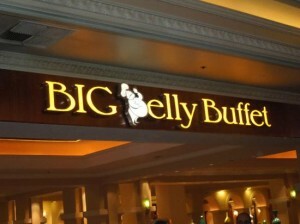 Makes 4 main course servings. Offer with a salad course of my Special Bittersweet Salad and my Cheesy Garlic Rosemary Toasts. 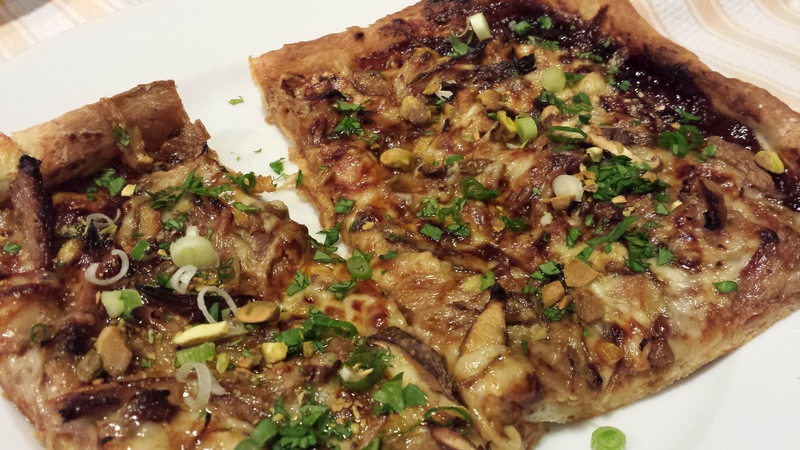 Dry red or white wines pair nicely with this dish. Variations: You can use turkey instead of chicken. 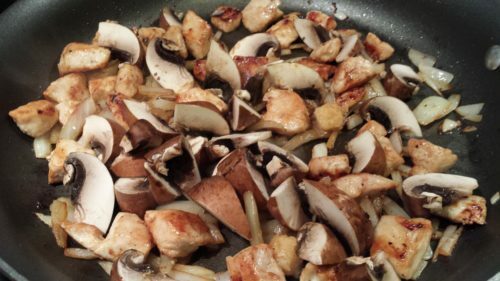 Add some diced red or green bell pepper when you add the mushrooms. 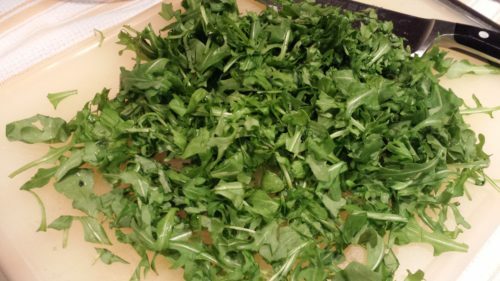 Try chopped fresh spinach instead of arugula. You could make the rice ahead of time and just warm it in the sauce before serving. Instead of using rice, toss the sauce with some cooked pasta of your choice.